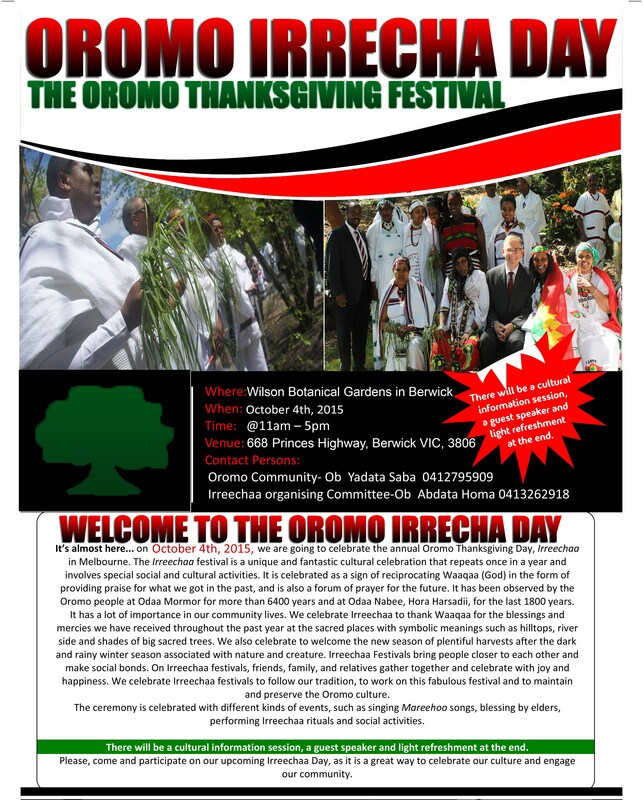 The organising committee of Irreechaa Birraa – Oromo Thanksgiving Day in Melbourne would like to invite all Oromos and Oromo freinds to “Irreechaa Birraa – Oromo Thanksgiving Day” at Wilson Botanical Park, Berwick (October 4, 2015 – Melbourne, Australia. We warmly invite you to join us at the 2015 Irreecha Birraa festival at Wilson Botanical Park. It is an Oromo Thanksgiving Day tradition of respect for nature and gratefulness for life. The ceremony honors elders’ blessings and wisdom and preserves the Oromo heritage in Australian multicultural society. The Southeastern Region Melbourne Oromo Community Association in Victoria Australia would like to invite you to the annual Irreecha Birraa festival, Oromo National Thanksgiving day, of the year on Sunday 4 October 2015. We believe that Irreechaa- Oromo Thanksgiving Day- holds Oromo nation together. The day is very important as it helps to bring life to a state of cheerfulness and enthusiasm through celebration. 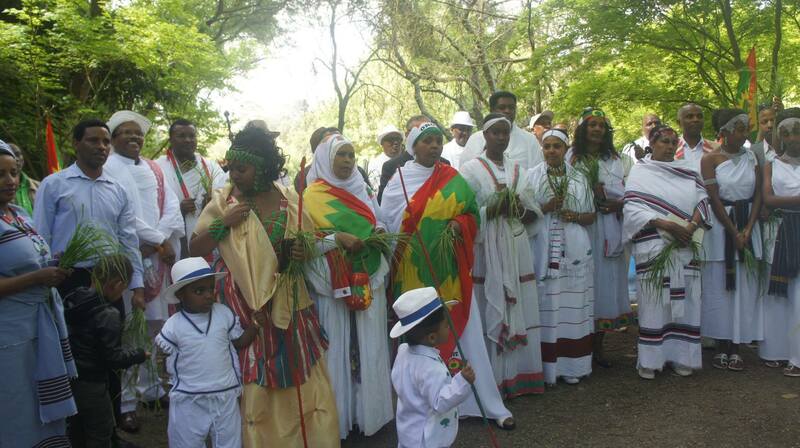 This Oromo Irreechaa Festival will be held in Melbourne, Australia on Sunday 4 October 2015 at Wilson Botanical Garden in Berwick , Vic 3806 from 11:30 to 6:00.